Savory summer sausage, pimento cheese and fresh herbs wrapped in flour tortillas. 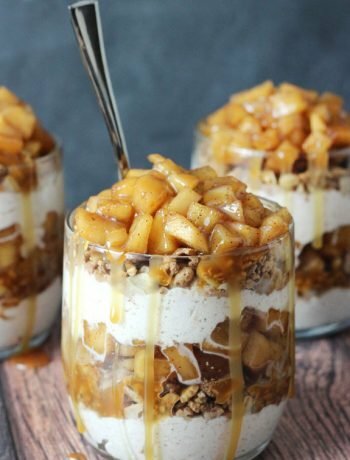 Add these to any holiday party for added flavor everyone will love! A timeless classic I grew up with in Wisconsin and enjoy cooking with over the holidays still today. 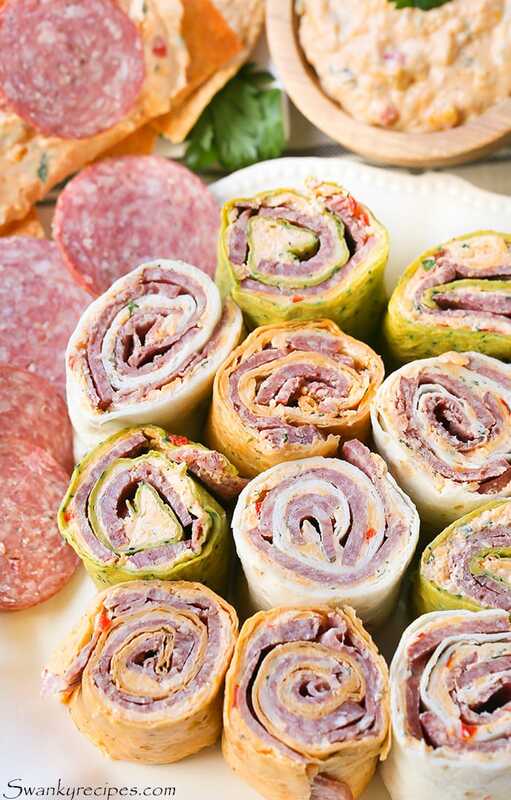 Summer Sausage is a fun and convenient way to cook holiday appetizers. I love to swap chicken and beef with Johnsonville Summer Sausage for the ultimate holiday and New Years Eve party. 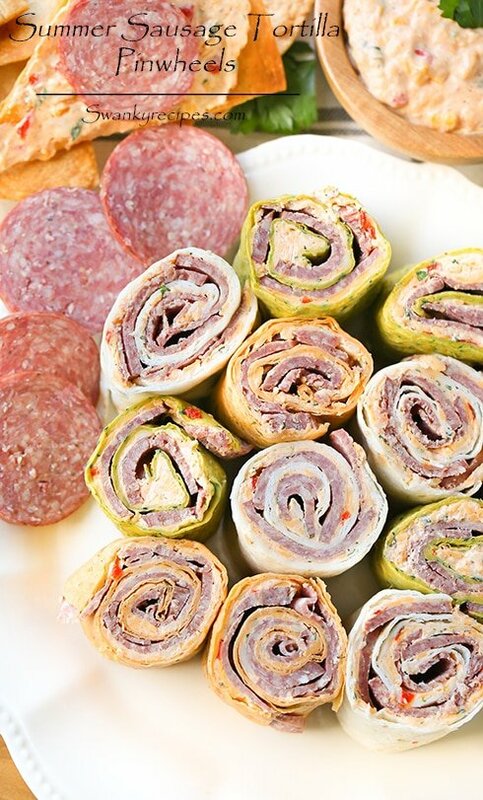 Summer Sausage is my favorite way to add exceptional flavor to ordinary party food. The sausage is already cooked, which makes it convenient to add to any dish. 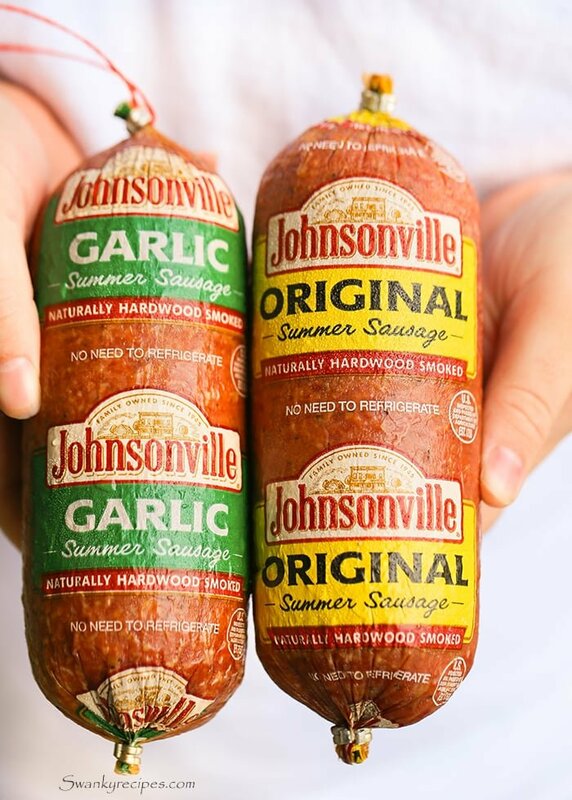 Johnsonville has been made with the same original recipe for over 70 years. It’s the number one smoked sausage our family has been using for over 2 decades. You won’t be hard pressed to find this served at a variety of holiday parties in our house. With the holiday season in full swing and family parties yet ahead, I’ve include a few of my favorite tips to throw an easy party everyone will enjoy. 1. Pick a Theme – Are you going for an evening that sparkles or maybe something fun like an ugly sweater party? Will everything be full of glitz and glam? Maybe a 1999 flashback party? Whatever theme you choose, make it fun! Pick the theme early on. Let guests know what it is a week or two before the party so they can coordinate their outfits. 2. 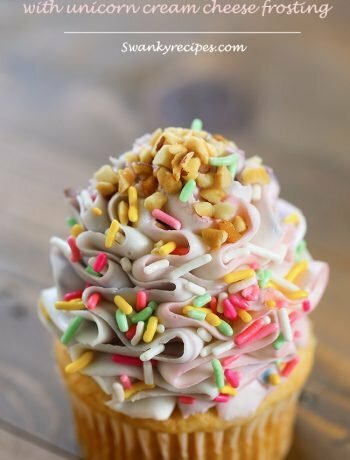 Food and Beverages – Perhaps this is one of the most important aspects of throwing an unforgettable party. It goes without saying- we eat with our eyes first therefore, you’ll want to include appetizing food. I love to include fresh veggies and fruit, savory dips and a few small bite sized food options. Of course, you’ll need fun cocktails to keep the party going. 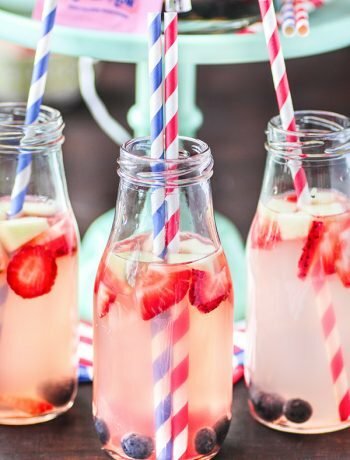 Browse Pinterest for easy to make seasonal beverages. Keep it simple. Don’t overwhelm guests with food, but do keep enough options for everyone to have a small plate, if they choose. Choosing the recipes ahead will make it easier to prep for the party. 3. Prep food in advance – Perhaps the most time-saving tip is to prep ahead of the party. This means grocery shopping at least a few days before the event. Next, make some of the food throughout the week. I find it’s best to have the food done before the big day. No one wants a host who’s too busy cooking in the kitchen as guests arrive. Don’t miss out on all the fun and don’t be THAT host! Decide what can get done ahead of time. Slicing nuts, shredding cheese and cutting up vegetables can all be done a day or two in advance. An easy recipe tip for this dish includes making extra pimento cheese dip. 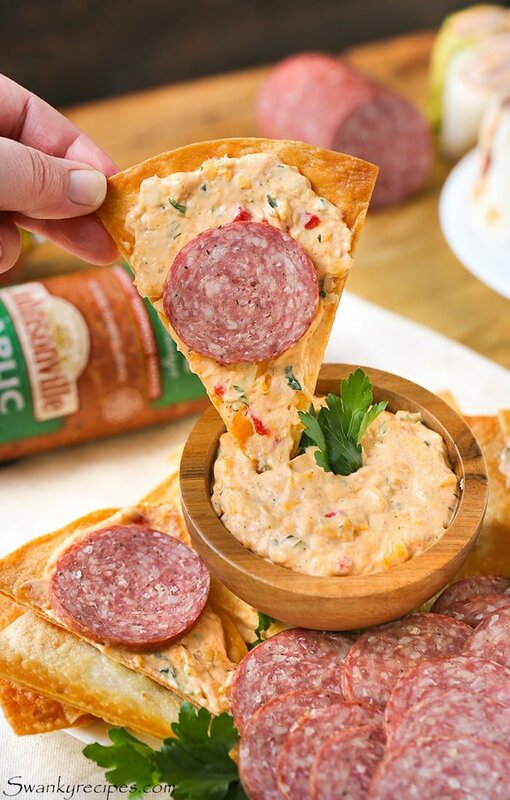 I simply baked soft flour tortilla shells with a little olive oil at 350 degrees F for 12 minutes and served it with pimento cheese (recipe below) that’s used for the summer sausage Tortilla Pinwheels. This way, I’m getting another use out of the same ingredients while serving it as a separate appetizer. 4. Set up in advance – It’s time to get a head start on decorations. As soon as the invites are sent and a theme is picked, I like to shop for the decor or spend time making fun party favors. A week or two in advance, I make the confetti, party hats and photo booth signs. Call a friend over to help set the party up a day or two in advance. This includes setting up tables, food stations and decor. 5. Plan Fun Activities + Games – A good party will include games and activities. Make guests feel welcome by creating a few ice breaker games for everyone to get accommodated. Have a laptop-ready system setup for music. Keep it fun and full of options. Set out a few movies as options for guests to watch. Pick out a few card games to play. Have the TV set to watch the ball drop at midnight. Set out glasses and cocktails to toast at midnight. Throwing the ultimate party means planning ahead. As I’ve mentioned party planning as an important tip in throwing the perfect holiday bash, I wanted to share this easy to make ahead appetizer. The pimento cheese can be made as early as 4 days in advance. 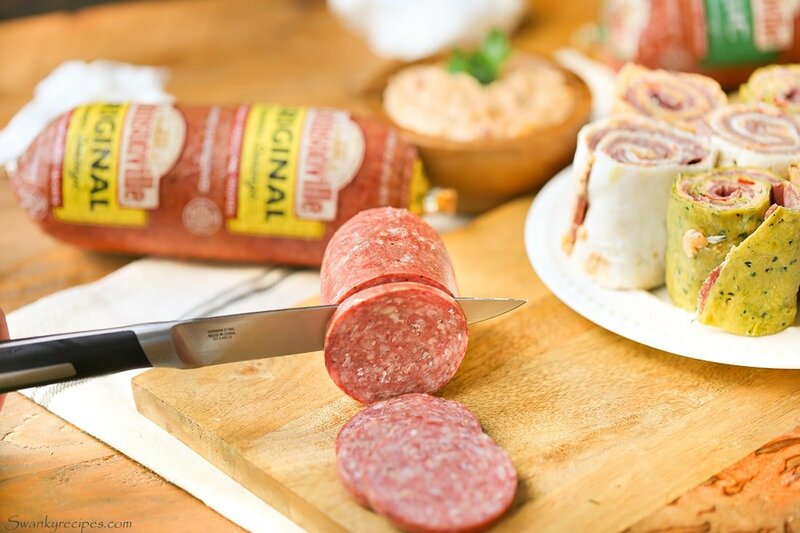 Johnsonville Summer Sausage comes precooked and makes it easy to add to recipes. The sausage takes 24-48 hours to perfect, which during this time it develops its signature flavor. It starts with fresh meat which is then slowly smoked for hours. The end result is a dried meat that can be added to any dish for the perfect holiday party. Summer sausage can be kept without refrigeration and it makes for a wonderful gift. Johnsonville sausage hails from a team dedicated to making the best sausage with phenomenal flavor. Choice cuts of meat with added spices and flavors are mixed into the meat. Be sure to visit www.SummerSausageStory.com to get the latest recipes and videos about Johnsonville’s sausage. Use this product locator to find it in stores or order it online and receive the package delivered to your front door. Finally, be sure to enjoy the party! Stay out of the kitchen and mingle with friends. After all, you’re the reason everyone is there! Keep the party atmosphere light. Plan ahead of time to throw the ultimate holiday bash. Ring in the New Year with friends and family right by your side. Thinly slice Johnsonville Summer Sausage, set aside. In a large bowl, whip softened cream cheese until smooth. If not softened, microwave cheese until soft. Stir in mayonnaise and Greek yogurt and Dijon mustard. Add black pepper, paprika, dill and red pepper. Add finely chopped green onions and parsley. Stir to combine well. Drain pimentos through fine mesh strainer then add pimentos to mixture. Shred cheese and add to mixture. Stir to combine mixture well. To assemble, spread 1/3 cup pimento cheese mixture on tortilla shell. Evenly spread thinly sliced Summer Sausage across entire tortilla shell. I used 4 flour tortillas, 4 spinach tortillas and 4 sun-dried tomato tortillas. Tightly roll tortilla shells. Pin with a toothpick to hold end together. Refrigerate tortilla rounds for at least 1-2 hours. A fun way to make this recipe into two appetizers, below. Serve the pimento cheese as a dip with crispy tortilla chips. To make the tortilla chips, simply preheat the oven to 350 degrees F. Brush olive oil on both sides then spread out evenly on a baking sheet. Bake in oven for 12-15 minutes. Serve Johnsonville Summer Sausage, pimento cheese and tortilla chips.